Choosing where to have your hen party can be a pretty big decision to make, alongside everything else that comes hand in hand with getting married. 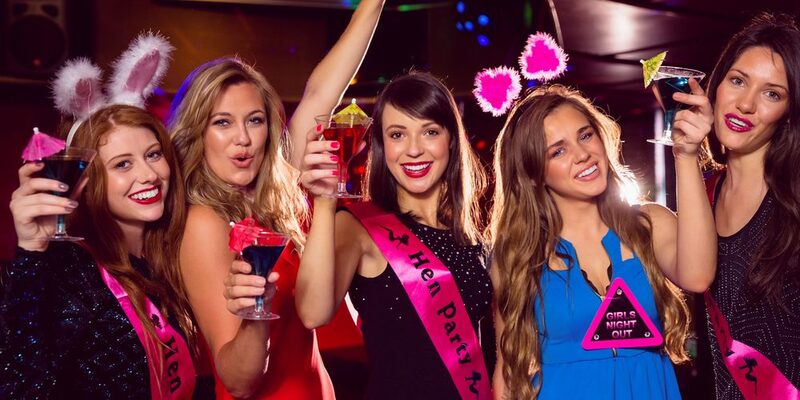 There tends to be a stereotype surrounding hen parties, but they don’t always have to be inappropriate and messy if that’s not your style. It can be exactly how you want it. Quirky hen parties and even quirkier weddings are the new trend, as there aren’t many who want to follow the norm anymore, it’s much more about showcasing individuality. So, if you’re hoping for something a little different for your hen party, that reflects who you are, check out our destination ideas. There’s no doubt about it, Rome is appealing to almost everyone. It’s drenched in history and is extremely picturesque (think of the Instagram posts!) Rome is the classy and elegant option for a hen party, a place where you can truly feel like a princess, eat delicious Italian meals, be a tourist, wear pretty dresses and act just like Audrey Hepburn in ‘Roman Holiday’. A popular choice for a hen party in Rome is to have a ‘vintage hen’. Pin up your hair, grab an ice cream and hop on your pastel coloured vespa to explore the beautiful locations Rome has to offer with your nearest and dearest. It’s something different and fun for everyone. Not only is eating and drinking affordable, even in the fanciest of restaurants and bars, there’s also so many activities you can enjoy at low prices. One is snowboarding on the snowy mountain tops, albeit not a traditional hen party activity, but it’ll certainly be a talking point and the perfect opportunity to have a laugh on a getaway with your girls. Somerset, located in the South West of England, is a stunning location to have your hen party if you are in the market for something relaxing and different. Somerset is made up of breathtaking views from the hilltops, countryside and pretty sandy beaches. There are also so many activities on offer here, such as music festivals or even the Somerset Challenge. It’s no secret that London is a city with so much to offer. From fancy bars and restaurants, to relaxing spas and even locations where you can make your own perfume – the big smoke really is any bride’s ideal place to spend some time with her nearest and dearest before the big day. If you’re after something a little different, however, you and your party could take part in the ‘Big London Bake’, inspired by the Great British Bake Off. A perfect, enjoyable activity for loved ones of all ages, whether they are proficient in baking or otherwise. If it’s a non-traditional, quirky hen part that you’re after, Edinburgh is the place to be. In the home of Harry Potter, fanatics can have a hen party playing Quidditch. With actual brooms provided, you can pop on your circular glasses, dodge the bludgers and catch the golden snitch. It’s a fantastic idea that’s bound to create a barrel of laughs. Another idea for active hens is the Mini Highland Games. Put on a kilt and enjoy activities such as tug of war. Written by Rebecca Martin, blog writer at UniBaggage.com a luggage shipping service that helps travellers make their trip as easy as possible.